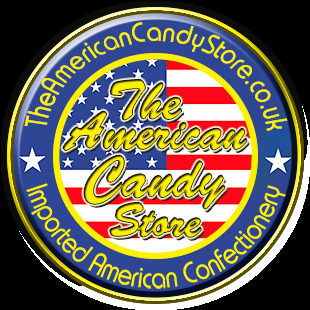 The American Candy Store is committed to providing our customers with the very best customer service. The American Candy Store complies fully with the Consumer Contract Regulations 2013 legislation. In the unlikely event that you may wish to return any product our terms are that We will refund the cost of all merchandise received in unopened and undamaged condition, however, we will not refund the cost of shipping unless agreed otherwise. Sorry, no returns are accepted without prior approval and no returns after 14 days of receipt. All returned merchandise must be shipped by the customer and this postage cost is non refundable unless agreed otherwise. Due to health regulations, we are not able to accept any food based merchandise where original packaging is not FULLY intact. If, for some reason, you wish to cancel an order then you MUST contact us within 24 hours of placing the order. Our packing and shipping is extremely efficient and we cannot guarantee that we'll be able to cancel your order. If your order has already been shipped and you wish to return the items for a refund then please see our Returns section above. Should your order contain items that are out of stock at the time of shipping, we will issue a full refund within 3-5 days and you will receive an email informing you of this from our Customer Service team. WARNING: During the summer months some products, especially confectionary, may melt during transport. All orders containing such products are shipped at the CUSTOMERS OWN RISK. We store our products in temperature controlled enviroment during spells of hot weather in order to keep these products in good condition. However, once shipped we are unable to control the temperature that the goods are shipped at and therefore we are unable to take responsibility for items that, once delivered, turn out to have suffered any type of heat damage.